I had a Chinese-Spanish meeting near my place, so I walked there and took some pictures on my way. 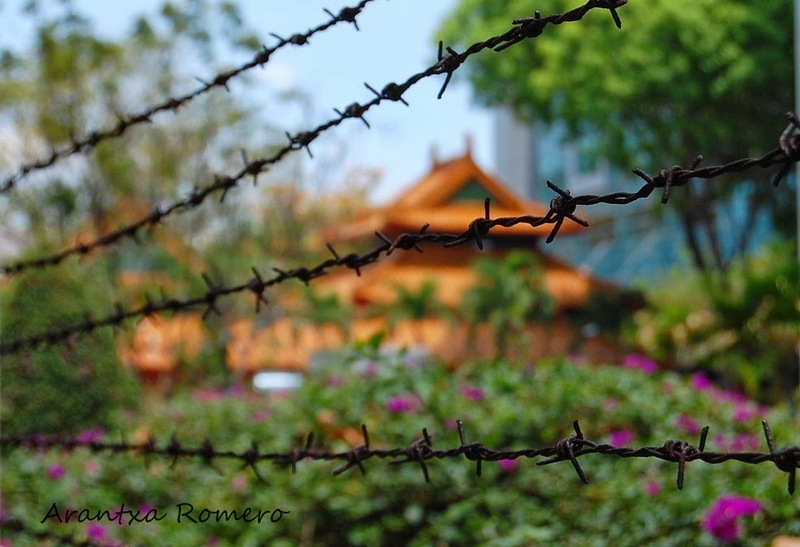 I had tried a picture with this barbed wire on a previous walk, but I like this background better. Como habia quedado para un tandem español-chino cerca de mi casa, me fui dando una paseo y aproveche para hacer fotos. Ya habia hecho alguna foto con este reja, pero me gusta mas con este fondo.